You know I am a big fan of the gluten-free lifestyle! This diet plan helped me so much when dealing with my long-term battle with gut inflammation, flatulence, and IBS. 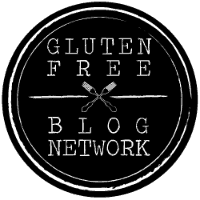 To be completely honest, at first I thought the gluten-free trend was just a hype to get people to buy expensive products and supplements. But as it turned out, more people are affected by the detrimental effects of this wheat protein than we think! And many of those are not even aware they have a problem with gluten! I know because that was the case with me! So, I decided focus more on providing ideas for yummy wheat-free meals that anyone could enjoy! Especially the little ones! I think it is extremely important to teach the future generations to appreciate real healthy food, instead of the highly-processed snacks with shiny packaging! Aaaand, since we are in a vegan dessert streak, let’s make today’s suggestion animal product free, so that even folks on a fast can indulge in this deliciousness – my gluten free pumpkin cookies! I know, I know, pumpkin is not exactly a summer treat, but it is never too early to start preparing for the fall season and gather some ideas. In the meantime, you can experiment with different variations by substituting the squash with sweet potato, maybe some pear or apple puree, etc. Or you can try this amazing holiday recipe for holiday maple syrup almond cookies by Shelby from Fit as Mama Bear! Yum! Let me know how it goes on social media! I am eager to find out! You can also mention me on Instagram (@milicavladova) or use my special tag #holisticmilky to brag about your creations! Now let’s get to the magic formula! Abracadabra! Note: prepare the cashew puree by soaking raw cashew nuts for several hours and then, grinding them in a kitchen chopper. Now, simply combine the pumpkin puree with the cashews, the orange juice, the zest, and the coconut sugar. Blend this mixture with the remaining ingredients and homogenize again. Form the cookies and place them in a baking tray covered with parchment paper. Bake for 10-15 minutes in a hot oven at 190° C/ 374° F.
Let the desserts cool down on a grid and store them in a tightly-sealed jar for up to 3-4 days. If you liked these gluten free pumpkin cookies, check out “The Healthy Vegan Dessert Cookbook: Delicious Muffins and Biscuits, Easy Cakes and Pies, Irresistible Energy Balls and Bites, Raw Vegan Diet Sweets, Mouthwatering Pudding Recipes, and more“! 100 AMAZINGLY DELICIOUS VEGAN DESSERTS YOUR FAMILY WILL LOVE! “The Healthy Vegan Dessert Cookbook” will enchant you with its simple and delicious recipes! You will find tons of tasty and sweet ideas for your vegan lifestyle! Satisfy your sweet cravings with these simple, yummy, and healthy sweets and dive into the waters of vegan cooking with “The Healthy Vegan Dessert Cookbook“! Stay tuned for more healthy stuff! This entry was posted in Recipes, Wellbeing of the Body and tagged healthy desserts, healthy diet, healthy recipes, vegan, vegan desserts, vegan diet, vegan diet benefits. Bookmark the permalink.